Not only because of the coffee, of course, but also for the design of the place: usally ornated with guilt-framed mirrors, elaborate stucco work, wood paneling. The seats and chairs were made by the highest quality of leather and velvet. The history of coffee is curious: in 1786, in his bar in Piazza Castello (one of the main squares in the centre), Benedetto Carpano had a great idea: adding a mix of som aromatic herbs and spices to his white wine. He created then the Vermouth, which is now one of the symbols of the city. Another place you absolutely have to try is the Eataly, which is located in the Lingotto area, near the shopping mall called “8 Gallery”. Here, people can spend a plenty of time looking for the Italian food. You can find, taste and purchase the finest of the country’s gastronomic production. The gelato over there is delicious, you can’t miss it. 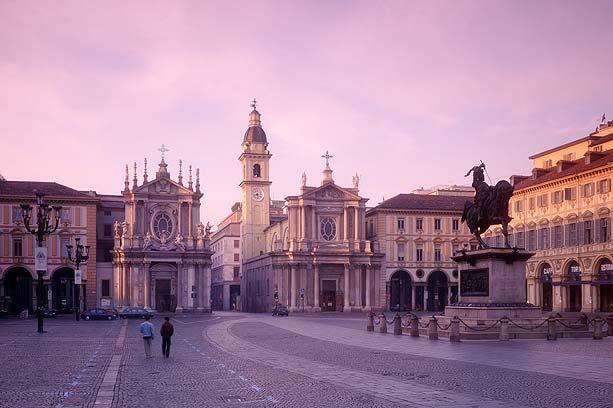 You can’t miss the chance to try a plate of agnolotti, pasta parcels filled with various types of meat, or the “bonet”, the famous dessert for which Turin is known. Made with chocolate and amaretti, it is a special-occasion dessert.